In the heart of the Estérel mountains, between Cannes and Fréjus, the villa offers a magnificent open view with glimpse of the sea. The villa mainly features an entrance hall, a large fully equipped open kitchen, a living room, a dining room, 4 bedrooms - including a master suite - and a laundry room. 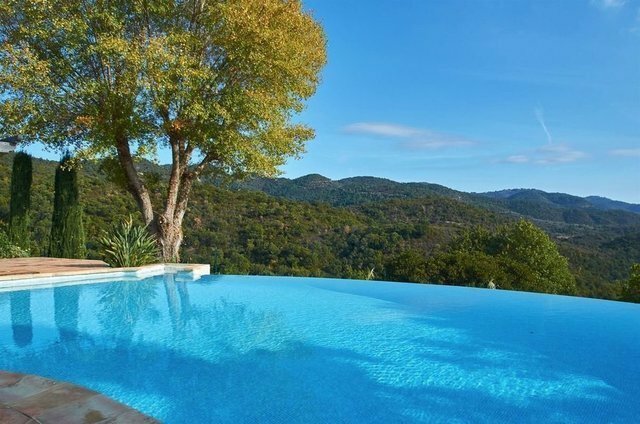 Nestled in one hectare of land, this property is a true haven of peace, just 35 minutes from the center of Cannes and 20 minutes from Frejus. Garage for 1 car and car ports for two cars. Ideal as a second home.